With tons of useful accessories designed to pair with Apple HomeKit, it's easier than ever to put together a smart home. The HomeKit smart home system is unique because all of the hardware accessories that function with the system are made by third parties, but HomeKit allows you to control them seamlessly. HomeKit is Apple's smart home interface that communicates with all compatible gadgets and appliances in one app ("Home"). HomeKit-compatible devices are easy to set up—a quick scan of a QR code—and can respond to "Hey Siri" commands. Smart home companies have been a bit slow to embrace the HomeKit platform, but it's becoming more likely as the industry changes that your new smart bulb, switch, plug, etc. will play well with Apple's software, and therefore Siri. You don't have to use the same types of products from the same company, either—HomeKit can turn on lights from Philips Hue, LiFX, and Sylvania all at the same time. Also, even though each device comes with its very own app, you might decide that it's easiest to let the Apple Home app (or Siri) run the whole arrangement (so you don't have to keep or use an app you're not exactly wild about). Below you'll find a list of all the product categories HomeKit covers. Click on any category to see what's available. Editor's Note: As of April 10, 2019 this article has been completely updated to reflect the latest product information. It was originally published on December 12, 2016 (written by Marc Saltzman). HomeKit uses a direct, secure connection between the HomeKit gadget and your iPhone or iPad, which means you don't actually need any additional hubs or smart speakers to make it work inside your house. However, if you want to access your HomeKit devices away from home, over WiFi, you need to use another Apple device (a HomePod, iPad, or Apple TV) as a Home Hub, a bridge of sorts. The Apple Watch is optional too, but having Siri on your wrist makes using HomeKit even more convenient. Sadly, Siri on the Mac and MacBook still can’t control HomeKit devices, so we hope Apple brings better feature parity to Siri across devices in the near future. Apple's awesome-sounding smart speaker has Siri mainly to control Apple Music, but the HomePod is also a hands-free way to command your HomeKit devices, and it can act as a HomeKit hub when you're away from your home network. 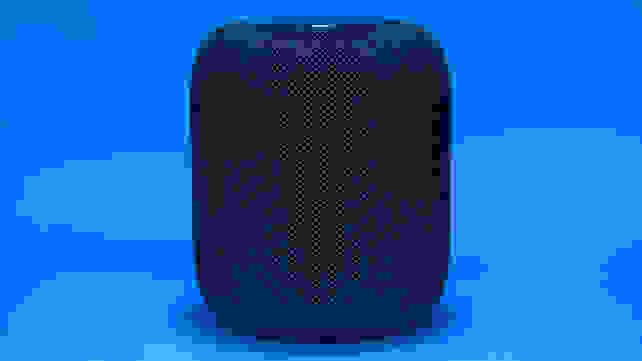 The HomePod ($299) sounds amazing and can summon your Apple Music playlists, songs, and albums directly from the cloud, no iPhone needed. It can hear you say “Hey Siri” from anywhere in the room (or even one room away), so it’s ready to receive commands to control all your HomeKit gear and your music. But it’s also pricey, which makes us glad Siri is baked into the iPhone, iPad, Mac, MacBook, and Apple Watch too. Even if you don’t have a HomePod, chances are you’ll always have a Siri device nearby. Apple is still new to the smart speaker game, however, and has been much slower than Amazon and Google to bring third-party services to Siri. Right now you can send mobile payments and call rides with Siri on your iPhone, for example, but not on the HomePod. And the chances of Siri ever spinning a Spotify playlist instead of an Apple Music playlist are slim. But the good news is that Siri accepts natural commands (“cut the lights” works just as well as “turn off the lamp”) and gets better the more you use it. And you can always use Airplay to listen to Spotify through the HomePod. The fourth-generation Apple TV ($149) and the Apple TV 4K ($179) each come with a Siri Remote. Just press the microphone button to ask Siri to play your favorite show, launch an app or game—and control your HomeKit devices. Starting at $149, the Apple TV is also the cheapest option for controlling your HomeKit gear from outside your home network. If you have an iPad (starting at $329) running at least iOS 10, you can designate it as a HomeKit hub by going to Settings > Home, and selecting Use This iPad as a Home Hub. For this to work, your iPad should stay at home and stay connected to WiFi. But it will work as a bridge for your HomeKit devices, and the Home app lets you set up scenes and automation. The Home app for iOS shows all your HomeKit devices, regardless of who made them, and lets you group them into scenes you can control with Siri. Well, the Apple Watch (starting at $399) puts Siri right on your arm, so you can command your home by muttering into your wrist. 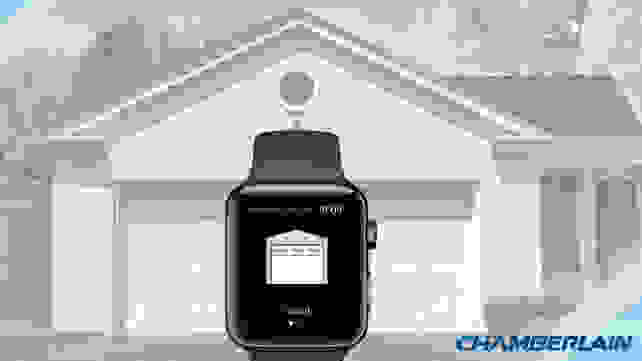 Plus, smart home notifications, like a doorbell ringing or a tripped motion sensor, are harder to miss when they're delivered to your watch. A number of smart lights have HomeKit support, and the Home app lets you group them together into rooms and zones, put them on a schedule, or even turn them off when you leave the house and on again when you return. Most of these products support HomeKit on their own, but a few, like Philips Hue and Caseta by Lutron, require a hub, which is included in the starter pack. Our top-rated smart bulbs aren't HomeKit compatible out of the box, but if you add the Philips Hue Bridge, then all the Hue lights, sockets, switches, and sensors will work with HomeKit and Siri. (And if you ever want to switch platforms, Philips Hue supports Alexa and Google Assistant, too.) You can buy the Philips Hue Bridge as part of a starter kit on Amazon, or buy the bridge only for about half the price. iDevices already makes our favorite smart outlet, and you can think of this iDevices Socket as a smart outlet for your lightbulbs. Just screw this into the light bulb socket of a lamp or light fixture, and then screw in a regular or dimmable light bulb, and control it with HomeKit or Amazon Alexa. It has a built-in LED nightlight, too. Koogeek's HomeKit-certified lights include the color-changing Lightbulb LB1; the flexible, easy-to-mount Light Strip LS1; and the Socket SK1 that turns a regular light bulb into a smart light. Koogeek's app can even show you how much power they've been using. We love the LIFX experience on iOS, just not so much on the Android side, so HomeKit users should be fine. If you use security cameras, the LIFX+ A19 and LIFX+ BR30 with Night Vision both use infrared light at night to assist the infrared night vision in the cameras. LIFX has white and color-changing bulbs in multiple sizes, plus strip lights, downlights, and the innovative LIFX Tile and LIFX Beam color-changing panels that stick to your wall like high-tech artwork. Nanoleaf's Light Panels are flat triangle-shaped lights you can mount to your wall, and then program to light up and change colors. The new Rhythm Edition goes even further, with an add-on module that lets the panels react to the beat of whatever music you're playing. Finally, the Nanoleaf Ivy Smarter Kit adds HomeKit support to the company's unique lightbulbs, which look like they were folded, origami-style, out of black metal. This smart light is a smart lamp! The table-sized Zip.ico mimics incandescent light by using a unique bulb made up of triangular faces covered in tiny LEDs. You can control it with Siri, an app, and a convenient button right on the side. *The Zip.ico is available in Promemoria showrooms, and you can sign up for additional updates here. Sylvania has a full line of HomeKit-compatible bulbs, including white and multicolored A19 and BR30 bulbs, a Full Color Flex Strip that you can mount anywhere, and even an A19 Soft White Filament bulb if you hate the look of LEDs. VOCOlinc's A19-sized L1 Smart Lightbulb changes colors (up to 16 million), and it supports HomeKit as well as Alexa and Google Assistant. It's not as bright as some of the others, topping out at 470 lumens, but it's also a budget-minded bulb. The company's color-changing LS1 Smart LED Light Strip is even weatherproof enough to use outdoors. When you install HomeKit outlets, you can automate simple appliances like fans, humidifiers, lamps, holiday lights, space heaters, coffee makers, and more. Upgrading your in-wall light switches and dimmers to HomeKit versions is also a no-brainer, since you can automate them and use Siri, or just keep using them with your hands, like always. iDevices makes our favorite smart plug, the iDevices Switch, and like all the company's smart plugs, switches, and dimmers, it's fully HomeKit-compatible with no extra hub needed. iDevices even makes a battery-powered Instant Switch that you can mount on the wall to wirelessly control another iDevices product. 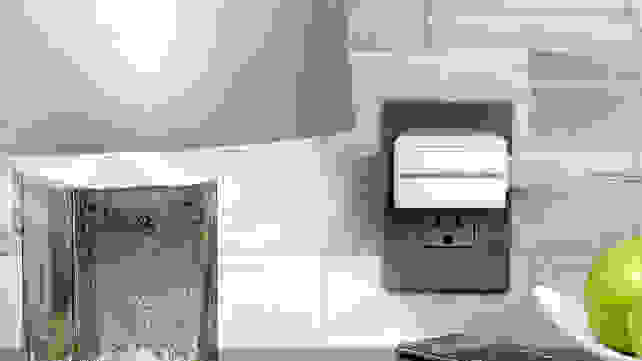 Caseta by Lutron makes some of our favorite in-wall switches and dimmers, because they don't need a neutral wire, which makes them easier to install. The Smart Bridge supports HomeKit as well as Alexa and Google Assistant, and it's sold on its own or as part of bundles like the Dimmer Switch Starter Kit. Belkin's WeMo lineup of switches and smart plugs will work with HomeKit once you connect the WeMo Bridge to your router. WeMo gadgets also support IFTTT, which adds even more options and flexibility than you'd find in just the Home app. Elgato's Eve Energy smart plug and Eve Light Switch support HomeKit, and can be combined with Eve Door & Window sensors, Eve Motion sensors, and Eve Indoor temperature and air quality sensors. That way, the fan can come on when it gets too hot, or a light can come on when you arrive home after sundown. Eve Energy plugs tell you how much power they're using, and the add-on Eve Button works as a remote control for Eve plugs and light switches. Fibaro offers a line of HomeKit-compatible gadgets, including a Single Switch that can be installed behind a light switch or power outlet that's already in your house. It can be paired with The Button for wireless remote controls, and be triggered by data from various Fibaro sensors for motion, doors and windows, water leaks, temperature, and carbon monoxide. iHome's iSP6X smart plug supports HomeKit, Alexa, Google Assistant, Wink, SmartThings, and Nest, and its slim design lets you stack two of them in a regular power outlet. iHome's HomeKit-compatible iSS50 Smart Monitor has temperature, motion, light, sound, and humidity sensors that can trigger the smart plugs, too. Why settle for one smart plug when you can have the Incipio CommandKit Wireless Smart Power Strip with four outlets? The smaller Smart Outlet with Metering is HomeKit compatible, too, and both products can let you know how much power an appliance is using. Koogeek has a full set of smart outlets, dimmers, and light switches that support HomeKit, as well as sensors and light bulbs. If you aren’t up for a big installation project, just plug in Koogeek’s Smart Surge Protector, which has three AC outlets that work with HomeKit, Alexa, and Google Assistant, as well as three USB ports for charging your devices. Leviton’s in-wall switches require a neutral wire to install, but the advantage of smart switches over smart bulbs is that you can use any kind of light bulb you like. The line includes a 15-amp light switch and 600- and 1000-watt dimmers. Sometimes the trick with smart home gadgets is getting family members on board with them, too. Logitech’s POP Smart Button runs on a tiny battery, so you can stick it anywhere, and press it to control a HomeKit device like a smart light bulb or a lamp plugged into a smart plug. The starter kit comes with a bridge and a button, and you can buy extra buttons if you need them. The PureSwitch Wireless Smart Plug by PureGear supports HomeKit so you can automate a lamp or a fan, and it also has a USB port on the side that you can use to charge a device. That makes this one perfect for a counter-level power outlet, like in the kitchen or bathroom. 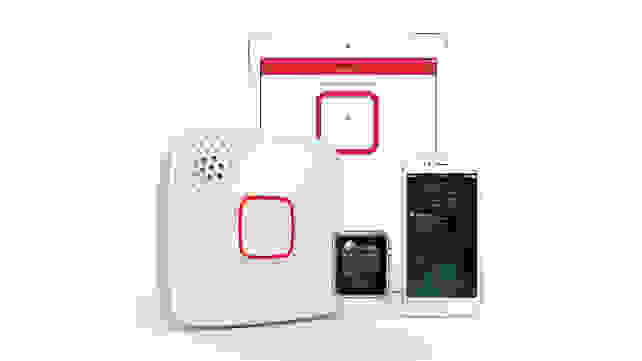 VOCOlinc’s HomeKit devices require no installation. There’s the compact Smart Plug and the three-outlet PM2 Smart Power Strip that also sports three USB ports. With a HomeKit lock, you can ask Siri if it’s locked, and even to unlock it for you, as long as your iPhone, iPad, or Apple Watch is unlocked. HomeKit cameras can display live video on your Apple TV screen too—just ask the Siri Remote. 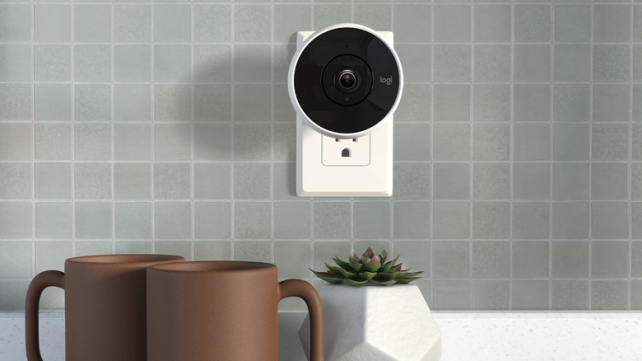 The second iteration of our favorite indoor security camera supports HomeKit (as well as Google Assistant and Alexa), and its innovative wireless design lets you move it to wherever you need it, or mount it permanently, indoors or out. It even comes with 24 hours of cloud video storage for free. Netatmo’s Presence outdoor security camera has a built-in floodlight, plus night vision—take your pick—and it can replace any outdoor light fixture you already have. It can turn on the light all night, or only when it detects a person, an animal, or a car. Indoors, the Welcome security camera has facial recognition so you can choose to receive alerts just for unknown faces. The cylindrical Omna 180 can see a full 180 degrees, even correcting for distortion. We thought its image quality and night vision were better than any other indoor security camera, and it’s got HomeKit support too. One of our favorite smart locks, August’s Smart Lock Pro is easy to install, and it has a door sensor that lets the app—and Siri—tell whether the door is open or closed, as well as locked or unlocked. Siri can unlock the door for you, lock it, or just report on its current state. Say you’re watching TV and hear a commotion outside. Just ask the Siri Remote to show you the view from your August Doorbell Cam Pro, and it’ll pop right up on the Apple TV. This square-ish camera has a bright light triggered by motion, which lets it record color footage at night, instead of infrared night vision. Most smart locks have specific requirements for the door you’ll install them on, but the Danalock V3 is flexible enough to fit on virtually any door. With HomeKit support, Siri can lock and unlock the door, which is much handier than launching the Danalock app or fumbling for your keys. Boasting a slim design and interchangeable shells in various finishes, the Friday Lock is a lot more stylish than other smart locks we’ve seen. It fits over the deadbolt on the inside of your door and supports HomeKit, so your “good night” scene can make sure the door is locked. A touchscreen smart lock is trickier to install, since it completely replaces your existing lock, inside the door and out. But using a keypad to unlock the door is super convenient, and you can give temporary or permanent key codes to other people, so they don’t have to download the Kwikset app to get inside. The Kwikset Premis has full HomeKit support and comes in nickel and bronze. The Sense Smart Deadbolt has a keypad on the outside of the door and supports both HomeKit and Alexa. HomeKit support is better, though, because Alexa can only lock your door or check if it’s locked, while Siri can also unlock it. That’s because Siri devices already have you signed in with your iCloud account and two-factor authentication. The Weiser Premis, found at Lowe's, is nearly the same touchscreen smart lock as the Kwikset Premis, sold under a different brand for the Canadian market, and with a slightly different exterior shape. It supports HomeKit, and like all touchscreen locks lets you program unique entry codes for friends and family. Yale has a huge lineup of smart locks, but the Assure Lock with M1 Network Module is the one to get if you want HomeKit compatibility. This lock has no keyhole at all—just a touchscreen. You can unlock the door with your keycode, with an app, or by asking Siri. HomeKit thermostats, fans, and air conditioners are the bee’s knees because if you’re ever too hot or too cold, you can just whine to Siri about it. Scenes like “good morning” and “good night” are great chances to bump the temperature up or down a few degrees, and with geofencing you can also be sure you’re not heating a house with nobody home. Add a few temperature sensors around the house, and you can automate everything based on real-time conditions. Now that’s cool. Our favorite smart thermostat, the Sensi Touch Wi-Fi Thermostat, supports HomeKit, and so does its slightly less stylish, but just as full-featured sibling, the Sensi Wi-Fi Thermostat. They both have excellent setup assistance in the app, and are also compatible with Alexa, Google Assistant, and Wink, should you ever want to change smart home platforms. Two ecobee thermostats support HomeKit: the ecobee3 lite and ecobee 4. We like the ecobees because they have power extenders that you can use if you don’t have a C-wire running to your thermostat. The ecobee4 also comes with a room sensor to monitor the temperature in another part of the house and also supports Alexa, Google Assistant, and SmartThings. The iDevices Thermostat looks pretty similar to an analog thermostat, and an optional Thermostat Wire Adapter can power the thermostat without needing a C wire. It supports HomeKit as well as Alexa. There are four Lyric thermostats from Honeywell that support HomeKit, including the second-gen Lyric Round, which we appreciated for its good looks and geofencing. The rectangular touchscreen Lyric T5, minimal square Lyric T6, and more traditional looking Lyric T6 Pro all support HomeKit, too. 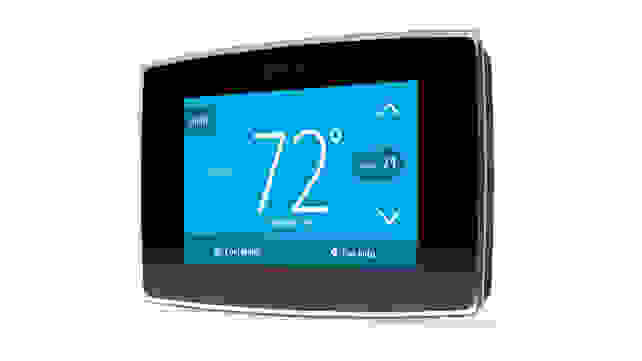 The Housewise Thermostat’s color touchscreen lets you program it from the wall or from the app, and displays a four-day local forecast. It supports HomeKit as well as Alexa. Lux’s Kono gets major style points for its friendly analog-looking adjustment dial, and the snap-on covers that let you change the color of your thermostat, or paint it to match your walls. It includes a power bridge in case you don’t have a C-wire, and supports HomeKit. This attractive smart thermostat is designed for homes with high voltage electric heating—think electric baseboard heaters or fan-forced heaters. Mysa has a minimal, button-free design that lights up when you touch it, and supports HomeKit, Google Assistant, and Alexa. Hunter offers four 54-inch ceiling fans with HomeKit support, including the Brunswick, the Apache, the Signal, and the Symphony. (Look for fans with Hunter’s SIMPLEconnect Wi-Fi feature, which support HomeKit as well as Alexa and Google Assistant.) Once you’re set up, Siri can turn the fan on and off, adjust its speed, and dim the LED light fixture. The 54-inch Aya ceiling fan from Casablanca has a modern look with just two fan blades and an integrated LED light. It joins your WiFi network, where HomeKit support lets you turn on the fan with Siri, adjust its speed, and dim the light. Or just tell Siri you’re too hot, and she’ll take care of everything. GE’s WiFi-equipped air conditioner (model AHP08LX) supports HomeKit as well as Google Assistant, Alexa, and IFTTT. You can ask Siri to turn on the air conditioner while you’re on your way home, so you walk into a nice cool house. With a HomeKit-enabled garage door opener, you’ll never find yourself doubling back from a couple blocks away because you suddenly can’t remember if you closed the garage. Just ask Siri about the status, and have her close the garage if necessary. The MyQ Home Bridge upgrades a MyQ garage door opener from Chamberlain or Liftmaster that doesn’t already have WiFi. With HomeKit support, you can ask Siri if the garage is open, and to open and close it for you. And it’s easy to set up as long as you have a spare power outlet and decent 2.4GHz WiFi signal in the garage. LiftMaster sells the same kind of MyQ Home Bridge to get a garage door made after 1993 onto your WiFi network. Compatible garage doors have safety sensors, so you can close them remotely without worrying if something is in the way—and you can even get a notification if the garage door has been sitting open too long. Sensors, smoke detectors, and air quality monitors can support HomeKit too. This lets them act as triggers for automated actions like turning on a fan when it gets too hot, or you can just ask Siri to tell you the current conditions in your home. Elgato’s Eve lineup includes a range of sensors for checking the temperature or if a window or door is open, but the Eve Degree is a little weather station in itself. It has a screen that displays the current temperature and humidity whether you keep it indoors or out. And with HomeKit support, you can ask Siri for the temperature or use the Eve Degree’s data to automate other devices. Keep an eye on your home’s air quality with environmental monitoring devices from First Alert. The Onelink Safe & Sound detects smoke and carbon monoxide and can alert you on your mobile device in case of emergency. In addition to its HomeKit compatibility, the Safe & Sound also works as an Alexa smart speaker. Don't need the Alexa speaker? Save yourself a few bucks and opt for the Onelink Smoke + Carbon Monoxide Alarm, which keeps the HomeKit compatibility but ditches the smart speaker. The Kaiterra Laser Egg 2 and 2+ are smart air quality monitors that can measure the VOCs (volatile organic compounds) in your home’s indoor air, as well as the temperature and humidity. Thanks to HomeKit support, these readings can trigger automations, like if the humidity drops too low, and HomeKit can turn on a humidifier you have plugged into a smart outlet.